This summer I have a new found fervor for accomplishing small projects around the house. Could it be due to the fact that my dear husband has finally finished school and I feel a thousand tons lighter on my feet? Indeed, I do believe so. 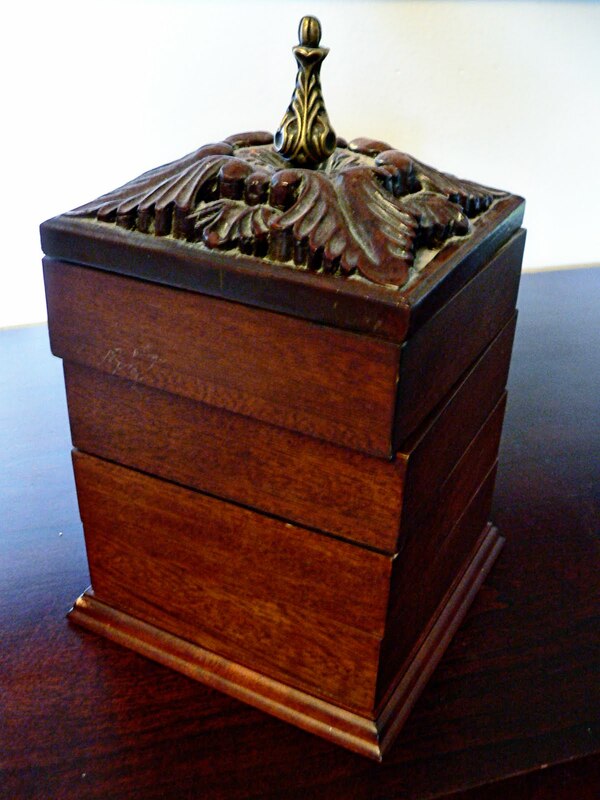 One such project that has been on my list for far too long is finding a workable solution to the mass insanity I call a jewelry box. 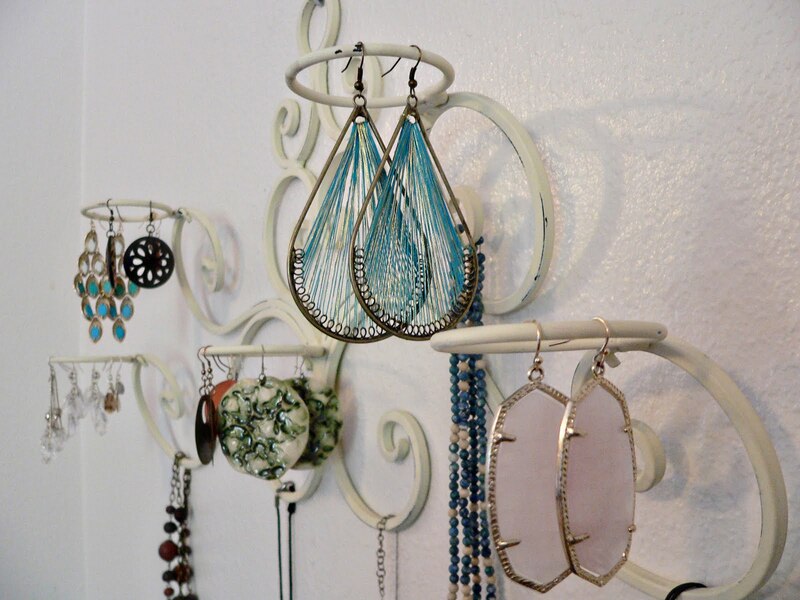 For years now, I have been looking for an alternative to my current arrangement for all my earrings, necklaces and bracelets. Truly, I do not have many of the aforementioned items, but what I do have has been crying out for help. 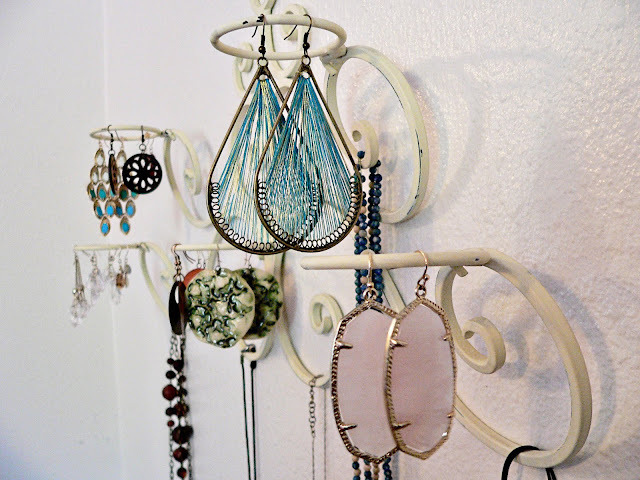 From the outside, this four-tiered jewelry holder looks nice enough. The inside, however, is a different story. I bought it at a garage sale and was delighted that my bodily adornments would finally have a home. 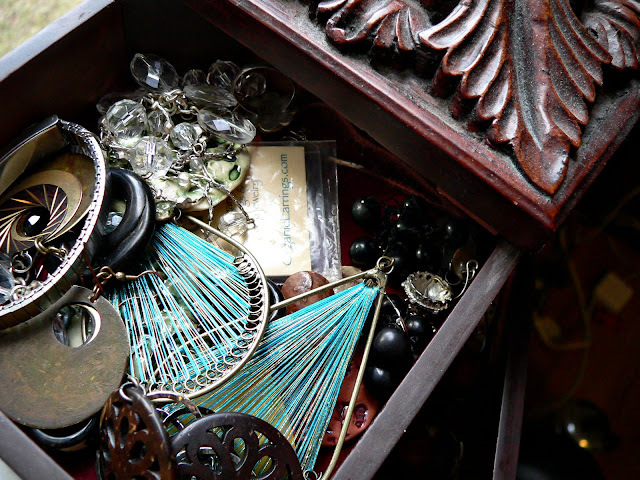 Up until that fine summer day years ago the top of my dresser was scattered with heaps of tiny metal, leather, ceramic and plastic jewels. It was a practice left over from my teenage years. A practice that drove my mother crazy. Now that I'm a mother myself, it was a practice that was starting to drive me crazy too. I won't even get started on how my husband felt about this practice. All I can say is I'm surprised I even have any jewelry left. It didn't take long before the dreaded table mess transformed into the dreaded Box of Mangle and Frustration. Earrings would be tangled up with one another. 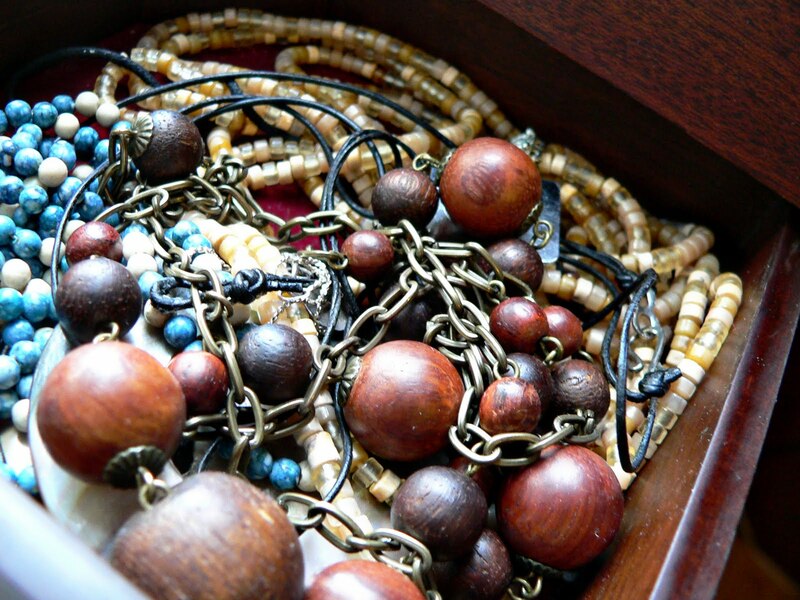 Necklaces intertwined in tight knots. And if I'm being completely honest with you, I barely have time to take a daily shower, let alone time enough to sit around and patiently detangle intertwined ropes and hooks. If I'm planning on adorning myself with jewels, it's got to be fast or it ain't happenin'. I had been dreaming of a simple wire rack to hang nicely on my bedroom wall hoping to bring a semblance of organization to this mass pile of ornaments. I realize they sell things made for this purpose at most major retail outlets, but since I typically do not purchase things like this at normal stores, I sat around waiting for the jewelry rack of my dreams to magically appear. I waited. And I waited. It didn't appear. I couldn't find a single jewelry rack for sale at the garage sales and thrift stores I was frequenting. With no suitable jewelry rack in sight, I readjusted my perspective on what I was looking for. 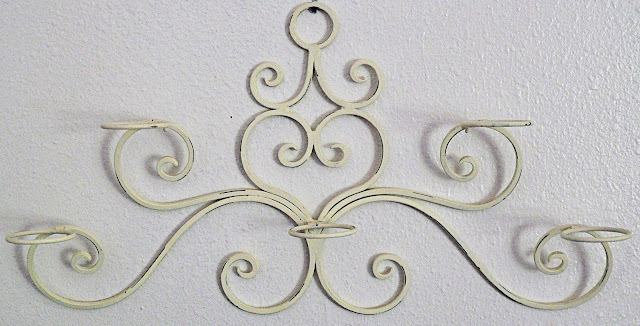 Immediately, almost magically, I set my sights on this shabby chic iron wall hanging. It is a candle holder for tealights. The sticker on the back says PartyLite. It is the perfect jewelry rack for my bedroom. Who knew that all this time I would find exactly what I was looking for in a PartyLite wall hanging? I was certainly surprised. And I couldn't be happier! I would have never thought of a candle holder. It's so cute! I just switched from a box to a wall hanger tree thing. I can't tell you how happy I am to not have to de-tangle on a daily basis. Love it! I need to do something like this too! 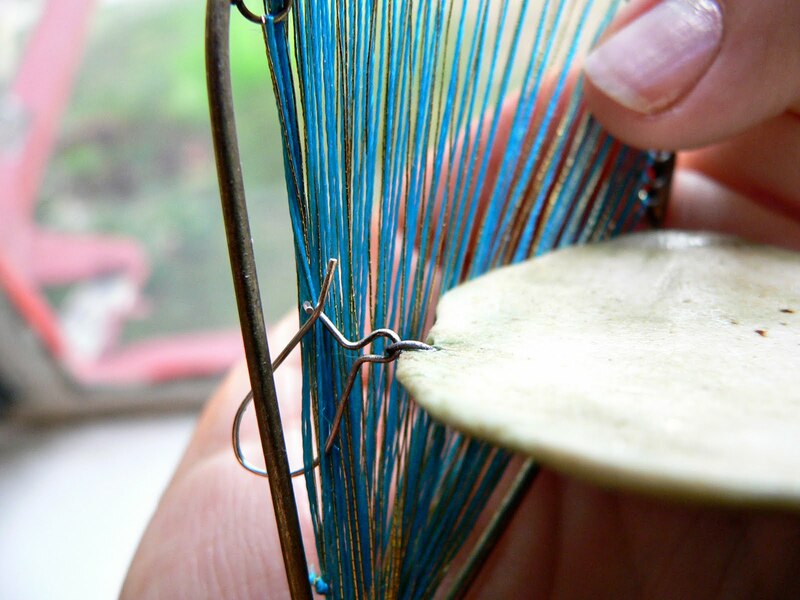 I have been using something similar!